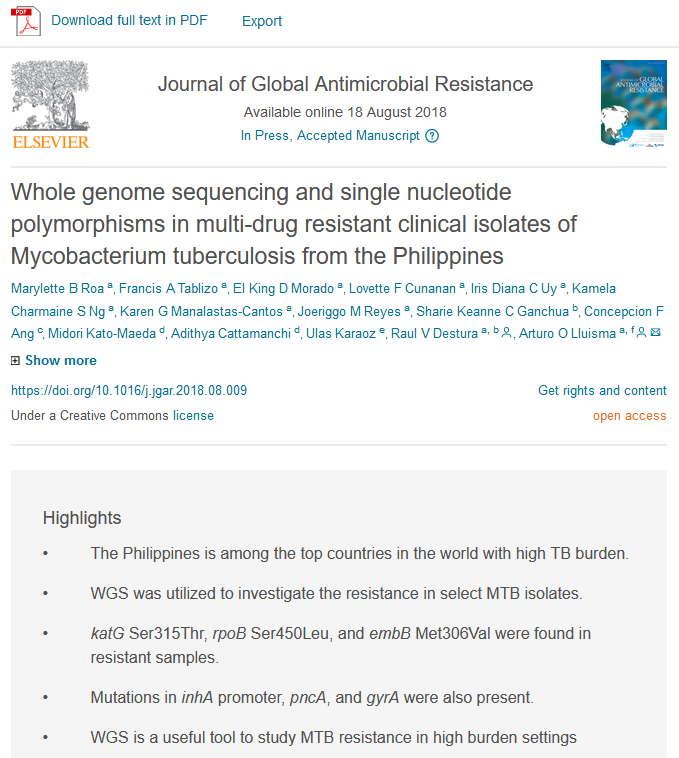 Thousands of cases of multidrug-resistant tuberculosis (TB) have been observed in the Philippines, but studies on the Mycobacterium tuberculosis (MTB) genotypes that underlie the observed drug resistance profiles are lacking. 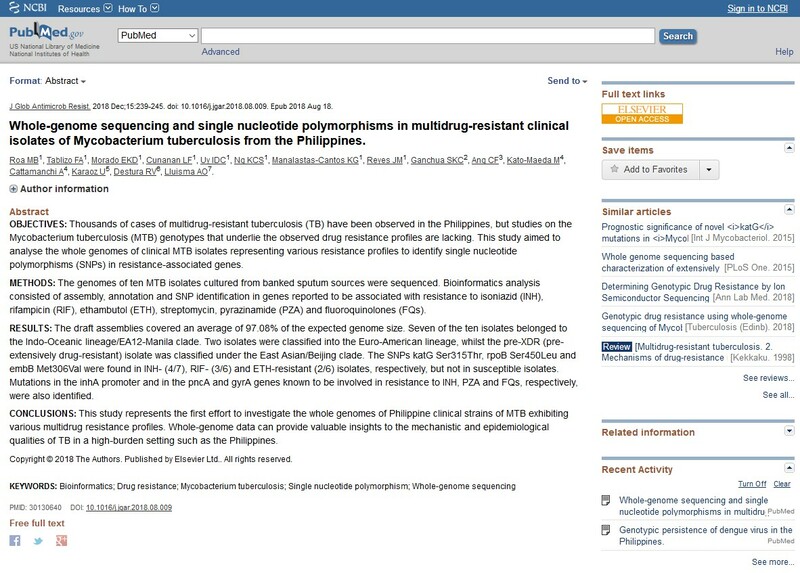 This study aimed to analyse the whole genomes of clinical MTB isolates representing various resistance profiles to identify single nucleotide polymorphisms (SNPs) in resistance-associated genes. 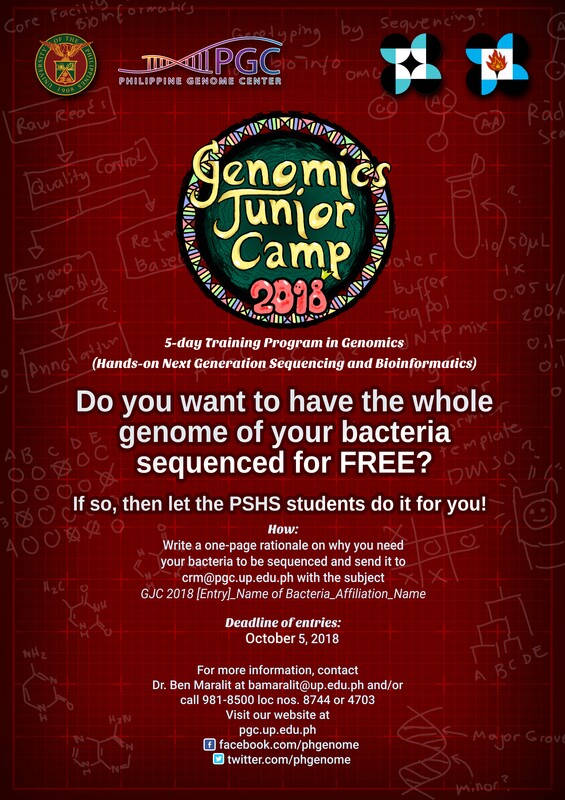 The Philippine Genome Center (PGC) of the University of the Philippines is opening its doors to students and researchers who would like to have the genome of their bacteria of interest sequenced for free. This is a rare opportunity to understand the genetic make up of the bacteria at no cost.